The CD106 antigen, VCAM-1 (Vascular Cell Adhesion Molecule-1), is an adhesion molecule which binds to integrin α4/β1 (VLA-4) and integrin α4/β7 on lymphocytes. It is a 110 kDa membrane protein. CD106 antigen is present on activated endothelial cells, tissue macrophages, dendritic cells and bone marrow fibroblasts. It is involved in the adhesion of lymphocytes, monocytes and eosinophils to activated endothelium. 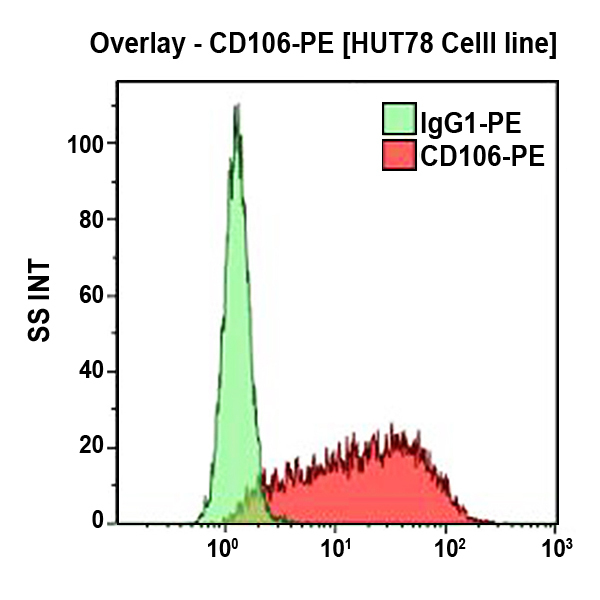 Clone Description The 1G11 antibody inhibits T lymphocyte adhesion to TNF-stimulated endothelial cells.